After several days of hibernation and ennui in our luxe Detroit condo due to freezing temperatures, wind and snowfall, I finally worked up enough interest in the outside world for an afternoon out — to run some errands in Allen Park’s expansive shopping center. I started with a Beach Club Hero at Jimmy John’s, then moved onto Best Buy to get my Canon G12 fixed (which, much to my dismay they whisked away for 2-3 weeks to repair, so the photos below were taken with my crappy Droid). Finally, I ended up at a Meijer — which is essentially a Target-like superstore with groceries, clothing, electronics, and home goods. I was tired already, and dreading going into anything deemed a “superstore.” I pulled into the parking lot. The lot was pretty jammed, but I slid into this puppy, no problem. 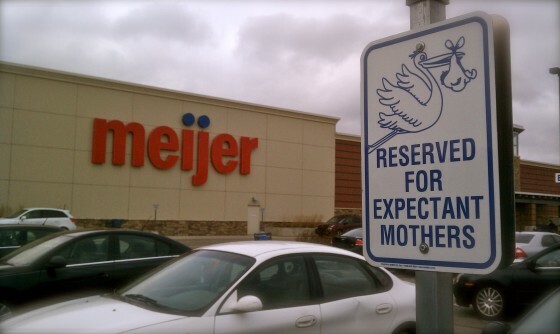 I have never seen this before, besides outside a Babies ‘R Us. Love this! And at 19 weeks, well into my second trimester, I’ve been fighting the proverbial pickle craving. I say fighting because I am a super snob, and only certain kinds of pickles will do. 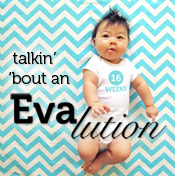 It’s gotta be the right taste, texture — even size! My absolute favorites are the new pickles, aka “half-sours”, and they are hard as hell to find outside of a good Jewish deli. But look what I found in Meijer’s refrigerated section? It’s a local Detroit pickle maker, and these are really good. A crisp, fresh crunch and a light, salty brine. Halfway through the jar, I saw the last ingredient: Polysorbate 80. Eeeek. Should I stop? 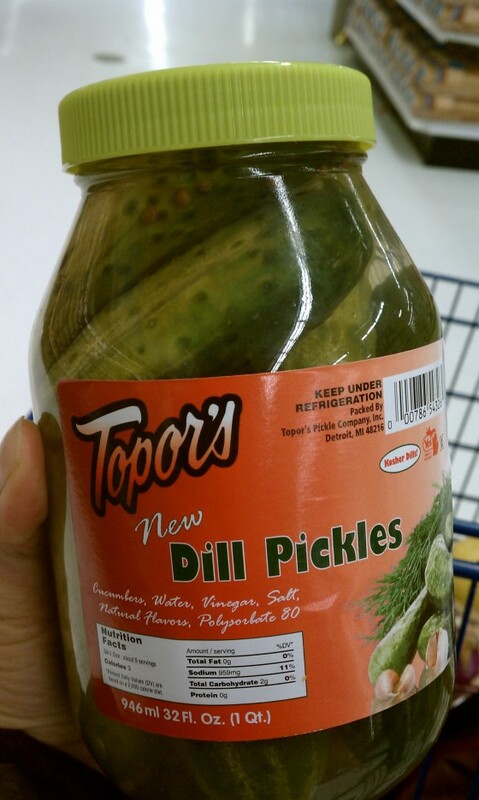 Topor’s is a well-known picklemaker here in Detroit and we eat them all the time! I think it’s ok 🙂 Glad you got out a bit and fought the cold! We saw the show last night and were amazed for the whole time there. Best wishes on the rest of your travels! Hi Hollicks! I love this post! Keep the pregnancy updates coming and post photos of the belly please!!!! Don’t eat the pickles! as good as they are polusorbate 80 is awful! Stop Polysorbate 80 ingestion. We keep allowing food makers to fill us with these things we know nothing about, accepting them with blind faith. Making our own brine is the only solution. (no pun intended). I miss the lower east side. Guss’ pickles! !